It is the weekend and you wake up feeling lazy, but at the same time you would not want to waste the precious day away. If you have ever woken up like this, you are not alone. For us Westies, going all the way to town might be a hassle. As a lifelong sufferer of FOMO, there have been one too many times when I wished I had a cool place to suggest to friends for brunch or coffee. Fear no more, here is a list of cafes in the West you can head to this weekend. Sunset Railway Cafe is the best place to jio your kopi kakis or to bring your boyfriend’s fussy mother to. 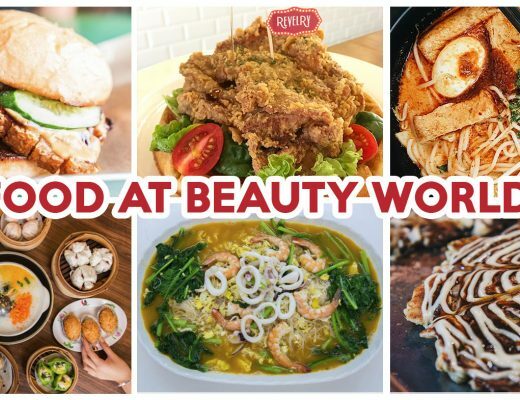 This local food hideout serves traditional delights like curry chicken, nasi lemak, ayam buah keluak, sugee cake, and pulut tekan – but with an artisanal flair. Their sugee cake ($4.80) is zhnged with fragrant almonds and a drizzle of lemon icing. 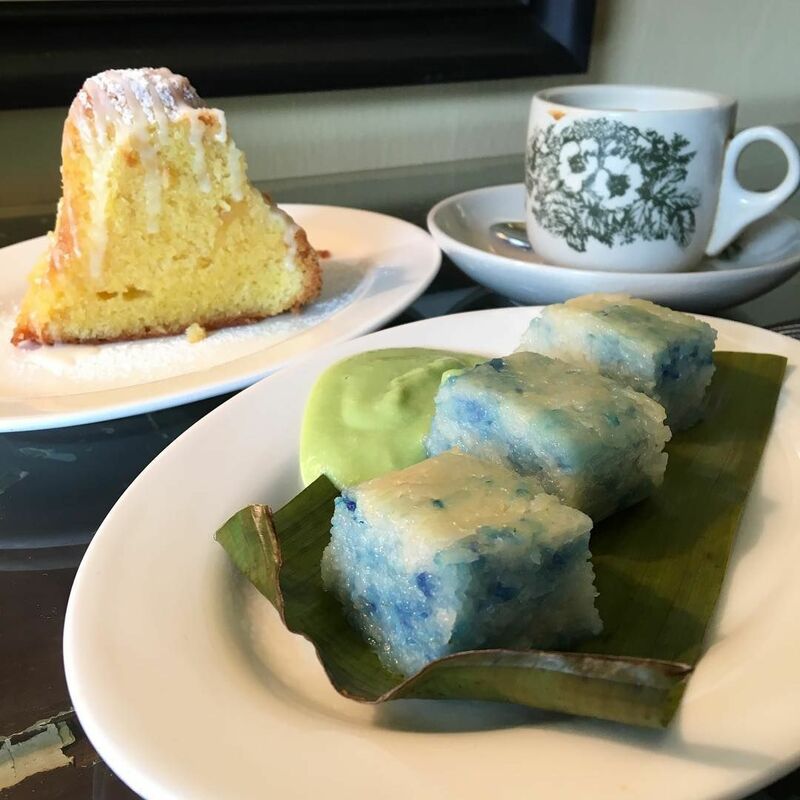 The pulut tekan ($4) is not only IG-worthy with its beautiful blue hues of butterfly pea flower, but every bite is also like a party in the mouth when you pair it with the generous dollop of creamy house-made kaya. Good news for all you late risers! 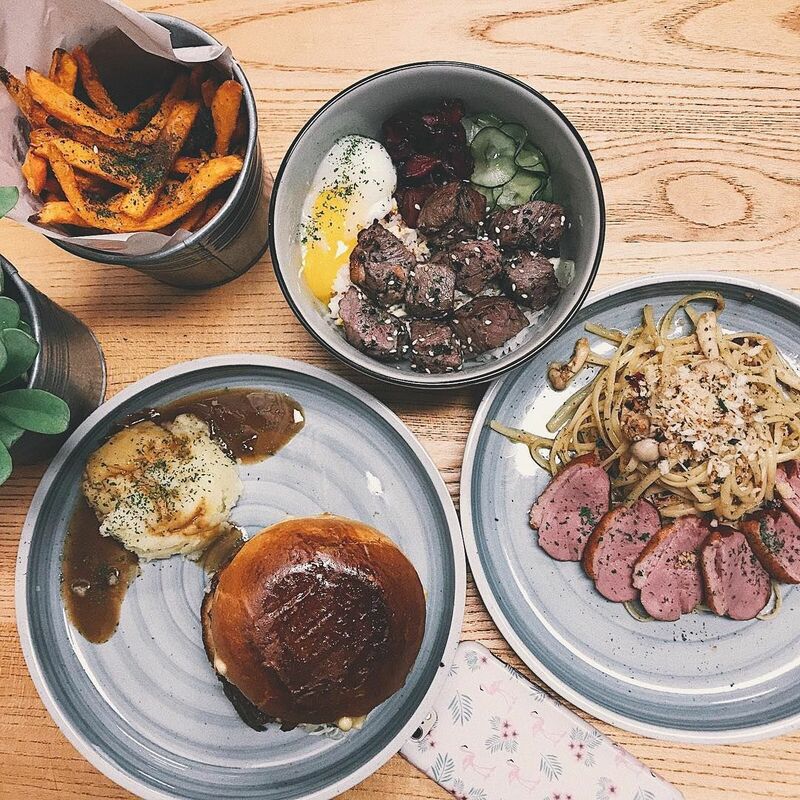 Here at Butter My Buns, they serve all-day breakfast mains. 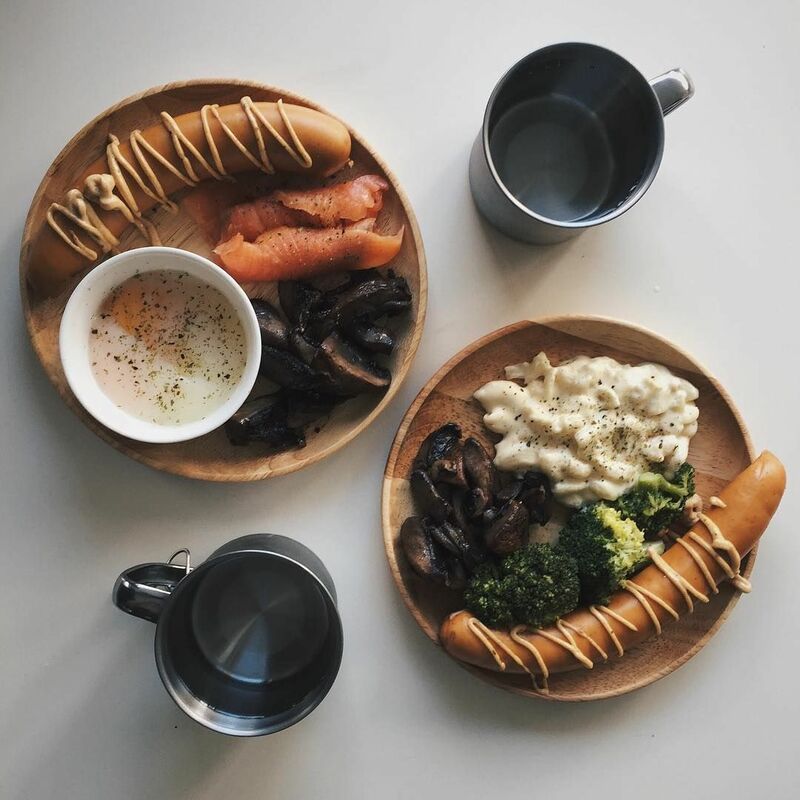 You can create your perfect breakfast with their mix and match brunch platter. For those who have a second stomach for dessert, you are in for a treat. Not only do they have the usual waffles and cakes, they also have nine varieties of Korean bingsu as well. If you are a fan of all things truffle, do not miss their Honey Truffle Belgian Waffles ($12). It has an unusual but delectable taste profile of both savouriness and sweetness. The Tiny Roaster is a no-frills coffee spot. This hole-in-the-wall cafe only serves coffee, matcha, and a small variety of cakes like cheesecake, chocolate hazelnut cake and strawberry shortcake. Do take note that they are subject to availability. 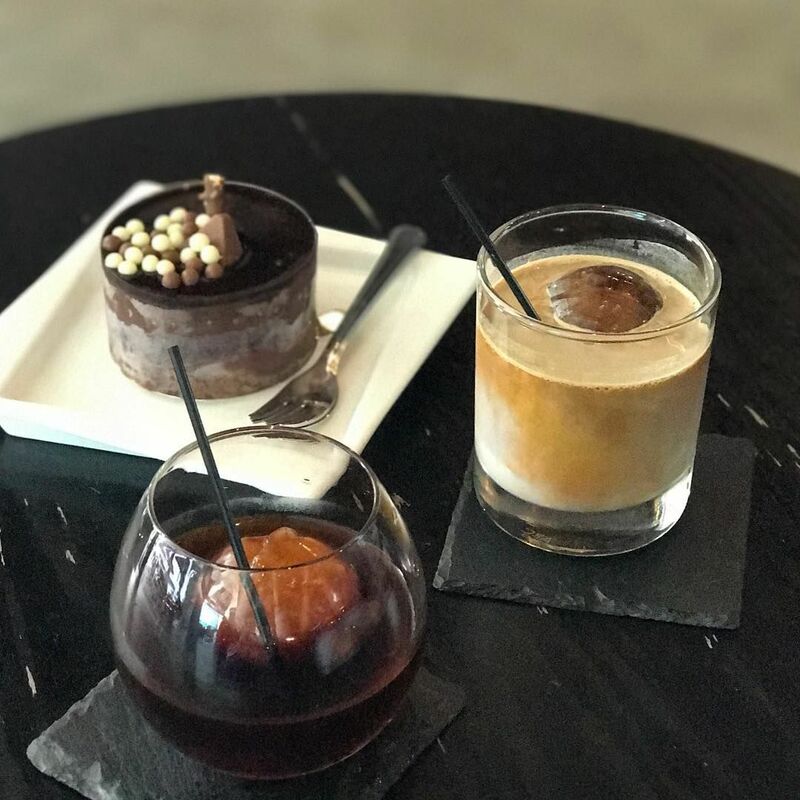 Those who want to have more fun with their coffee experience here can try their Iced White Brew ($5), which is milk with a ball of frozen espresso instead of ice cubes. This is to prevent the iced coffee from getting diluted. 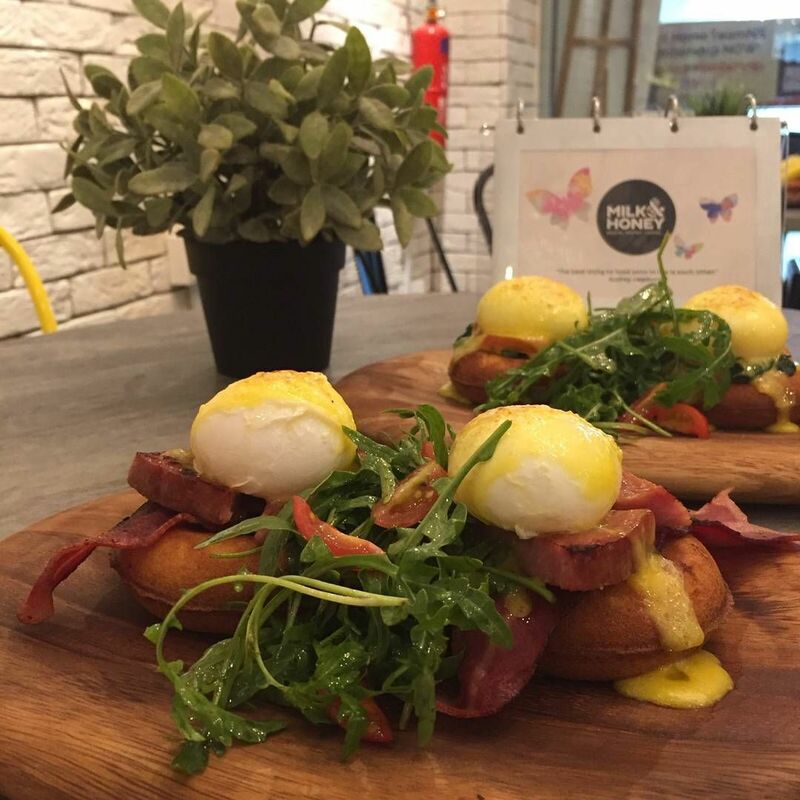 If you are feeling more adventurous with brunch, The Playground Coffee offers more than just the usual brunch food. Rice bowls like Braised Pork Belly Donburi ($14) and Blowtorched Ribeye Donburi ($18) are filling and will not cost you any more than $20. They have a one-for-one Donburi Tuesdays promotion going on, so grab a friend and head on down. Hearty Breakfast ($16) comes in a very generous serving as well. You will be served a full plate of toast, sausage, salad, beans, bacon, cherry tomatoes, mushroom and eggs done in any style. You will be spoilt for choice at Archipelago Creamery. This cafe touts a wide variety of sweet treats. Other than the usual ice-cream and waffles, there are Shibuya toasts and pastries that are made in-house by a pastry chef as well. Anything on the menu here would be a feast for your eyes and your mouth. The Aoyama Shibuya Toast ($15.80) itself looks like a whirlwind of matcha goodness. The toast also hides a spread of azuki beans. 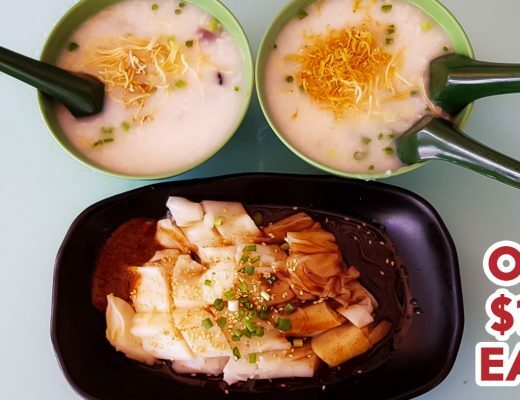 If you just went for a strenuous swim and you are feeling ravenous, head down to Next Stop Cafe which is located a stone’s throw away from Jurong East Swimming Complex. This is the place to go for unpretentious and hearty portions of Western food. Apart from a handful of dishes, every main here is under $10. 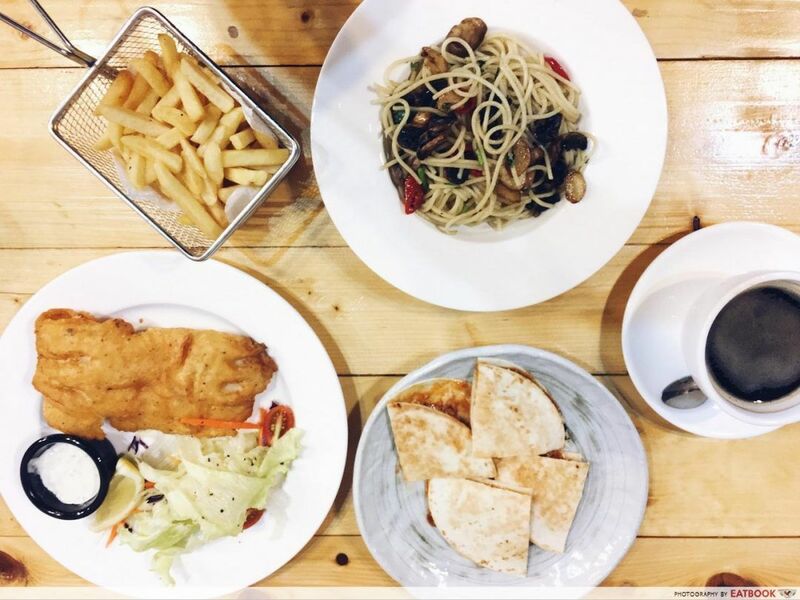 For a filling meal, go for pastas like Seafood Aglio Olio ($9.90) and Chicken Alfredo Spaghetti ($7.90). But if it is protein you are after, their Texas BBQ Boneless Chicken Thigh ($9.90) beats anything else on the menu. Imagine having a grilled chicken doused with bacon, BBQ sauce and mozzarella cheese after a good workout – what can top that? Another option near Jurong East Swimming Complex, Smoocht is a hybrid of ice-cream cafe and pizza place. Everything on the menu is vegan and the ice-cream is made using organic brown rice milk. 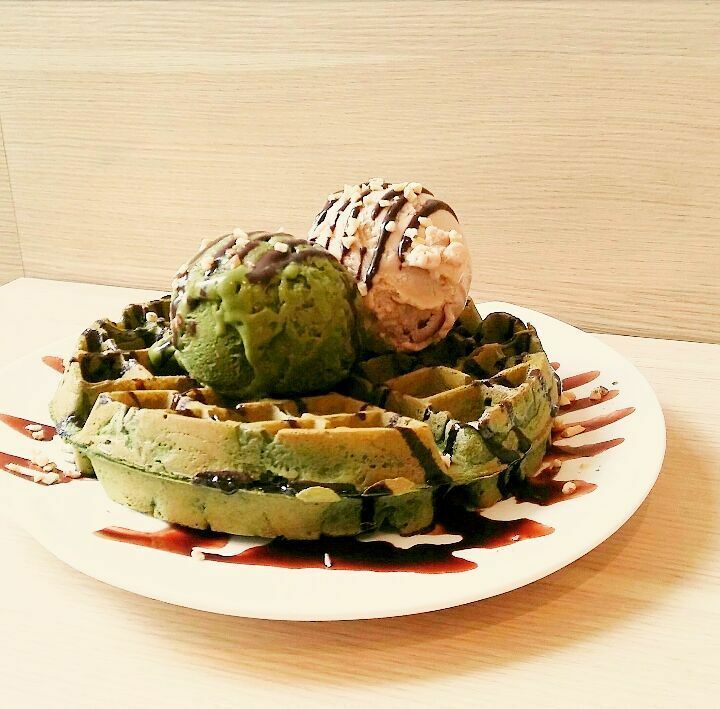 One look and you can tell from the natural olive colour that their matcha waffle ($10) is of quality. This is because they source their matcha powder from Uji, a city in Kyoto known for matcha. What is even cooler is that the dairy-free cheeses used on the pizzas are actually made in-house. Creamology is an ice-cream parlour with a variety of creative desserts. 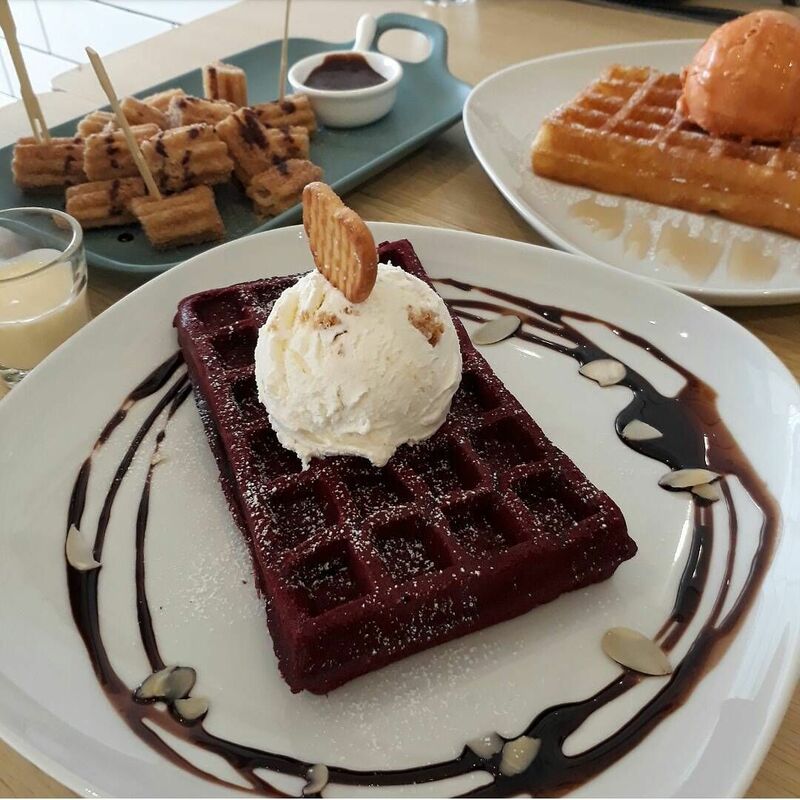 You can choose from three kinds of waffles: buttermilk, charcoal, and red velvet. There are also popular desserts such as churros ($6.20) and apple-filled crepes ($6.50). They often create seasonal desserts for occasions such as Halloween and Christmas, so be sure to check out their website to see what’s new before heading down. Do not be fooled by the name! Milk and Honey Gelato’s Bukit Batok outlet serves more than just sweet treats. They have a brunch menu as well. 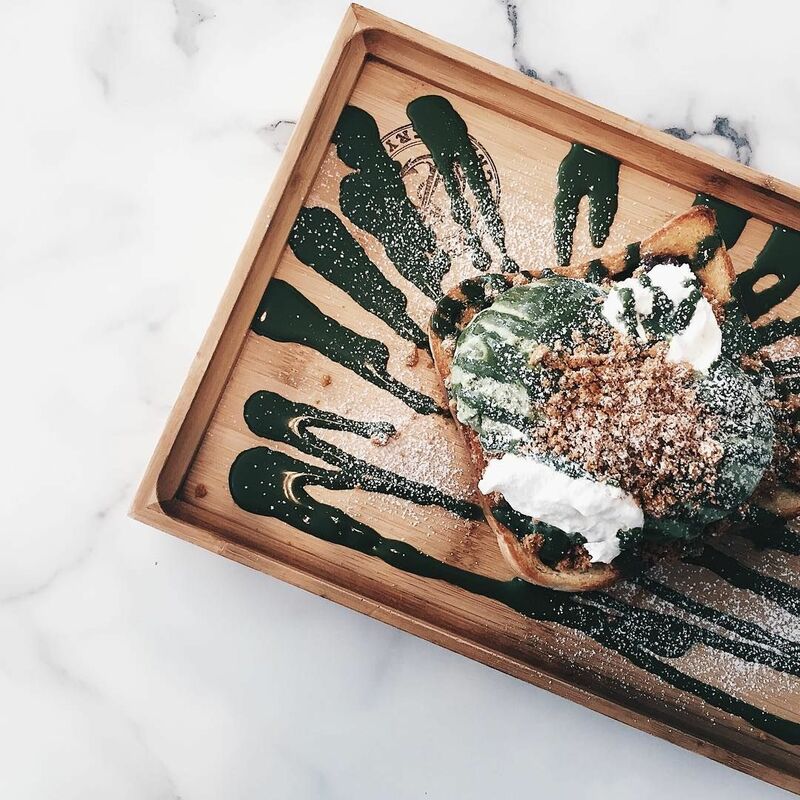 A must-try would be their donut waffles, which could pass off as a successor of the famous cronut. Dense and moist within while buttery-crisp on the outside, it is great on its own – but even better with loads of toppings. For savoury food, get their Eggs Florentine ($11.80) which is drizzled with a gratinated hollandaise sauce. For sweets, get a Mud Ball Pie ($5.90), especially if you like all things chocolatey. Only gelato, pastries, waffle and beverages are available on Mondays. While there are more places to chill at in town, it can also be overwhelming and full of tourists or people you want to avoid – like your ex. There are countless of unknown gems and good food, just hidden in plain sight. 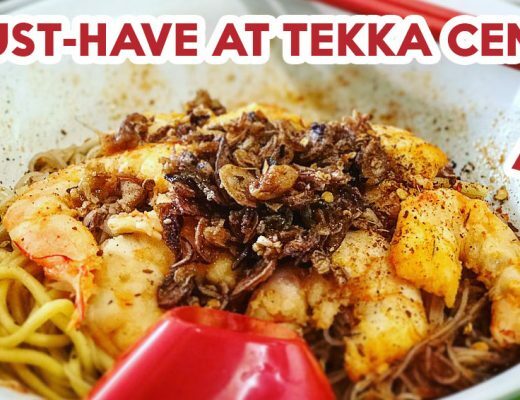 If you are looking for good but more wallet-friendly food to tide you over until payday, check out these hawker fare starting from $2.80 at Jurong West Hawker Centre, or these cheap food at Bukit Batok that are worth travelling for. Featured image adapted from Instagram user @kennsoonn‘s post.